Each week the DRM Gamecast will highlight one Indie game that we feel is worth looking into. 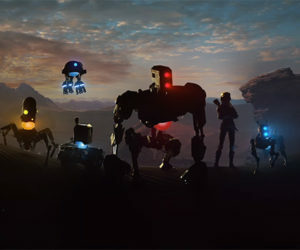 Every game listed has a planned console release for the Xbox One and/or PS4. An homage to the 1980's slasher/horror films, Summer Camp tasks players with surviving the night as the a camper or the monster himself. Creator Gun Media is made up of video game and film veterans including: Tom Savini (Dawn of the Dead, Friday the 13th), Randy Greenback (Red Storm/Ubisoft), Harry Manfredini (Original Friday the 13th score/soundtrack) and much more. The team seems dead set on bringing the Jason Voorhees experience to a console near you! Summer Camp is a third-person, horror, survival game, where players can be a teen counselor or the killer. You don’t have to eat, drink or sleep. Just live. That’s hard enough as it is. It’s Fun to Die Together! The entire focus of Summer Camp is multiplayer. It will support 6-8 players in a large, arena style map. Remember, don’t go into the woods, alone. Ever. 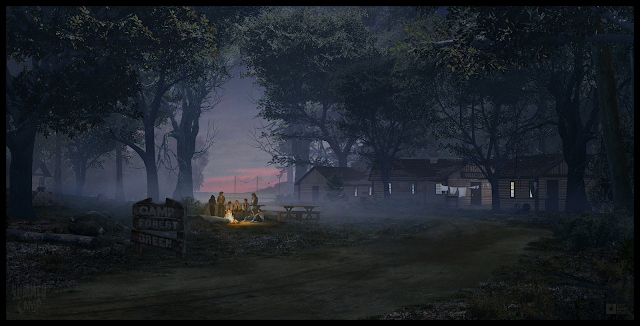 Mirroring Camp Crystal Lake from the Friday the 13th series, players will try to survive in a camp ground setting. Complete with a lake, cabins, and crazed killer who won’t stop until you die a gruesome death. 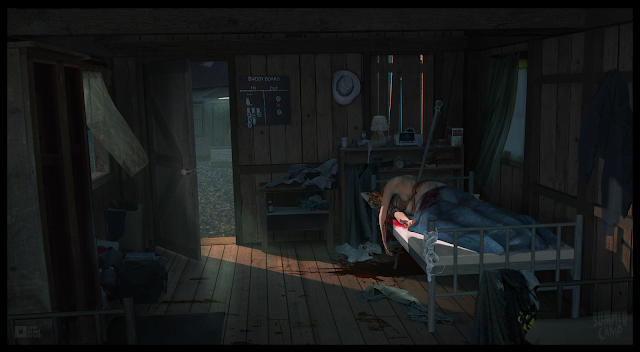 Summer Camp is releasing on the Xbox One and PS4 (as well as Steam). For more information you can visit the official website or follow the game on Twitter and Facebook.